Gilberto “Gil” Alvarado, MSN, CNP, FNP-BC, BSN, RN is named to the American Health Council’s Board of Nurses for his impeccable contributions to the nursing field, both in a military and domestic setting. As a staff nurse practitioner at NextCare Urgent Care in Albuquerque, N.M., Mr. Alvarado has provided extensive expertise in Nursing, Primary Care, Urgent Care, Surgical Skills and Natural Medicine. Although he has held that role for a year, Mr. Alvarado has acquired a precise and immaculate set of skills throughout his 45 years in the healthcare industry. While attaining his bachelor’s degree in nursing and bio science degree from the San Francisco State University, he garnered employment using his emergency room and operating room technician skills. He later enrolled at East Tennessee State University in Johnson City, Tenn., and while earning his Master of Science in Nursing degree, he used his critical care skills to seek part-time employment while earning his master’s degree. Mr. Alvarado is a seasoned military veteran, as he served in the U.S. Air Force as an officer for three years, and later retired from the U.S. Army as a lieutenant colonel in 2012. 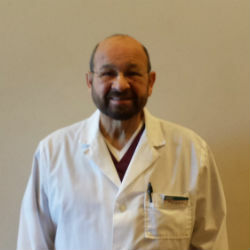 Mr. Alvarado entered the nursing profession in 1985, and worked in many areas of nursing, including medical-surgical, orthopedics, medical-surgical intensive care units, trauma intensive care units, emergency rooms and operating rooms. He gained experience as a nurse practitioner after graduating from East Tennessee State University’s nurse practitioner program in 2000. He served as a family nurse practitioner while in the Army, and cared for fellow soldiers and their families, while undertaking various leadership roles. He eventually nestled into NextCare Urgent Care, where he treats an array of ailments including coughs, colds, infections, lacerations, sprains and strains, broken bones, elevated blood pressure and other metabolic illnesses. Throughout his career, Mr. Alvarado has enjoyed interacting with patients and helping each one improve their health through education and practice. He is proud to have first served in the military, and appreciative to serve fellow airmen, soldiers and their families. His meticulous care for others in the military earned him two Meritorious Service Medals, and he is proud to have accomplished all physical challenges in the military. He credits his success to his passionate work ethic and education, as both helped him build a flourishing career. Mr. Alvarado maintains an active lifestyle professionally and personally. He contributes monthly to several organizations, including St. Jude’s Children’s Research Hospital, Disabled American Veterans, Feeding America, Food for the Poor, and Lincoln County Humane Society. He enjoys tasting a diverse culinary pallet and traveling to different locations around the country. In fact, Mr. Alvarado plans to move to Germany in the future for a few years to serve fellow airmen and soldiers at Ramstein Air Base, or Landstuhl Regional Medical Center for several days every other week, and travel around Europe during his free time. He plans to finish a book about gang activity, which details how to help families affected. As a creative thinker, Mr. Alvarado is in route to patent an invention geared toward helping families who eat tortillas at every meal; however, his ultimate goal is to lead a healthy lifestyle. Founded in 1993, the NextCare Urgent Care network has grown into a successful facility as it currently operates over 130 clinics in Arizona, Colorado, North Carolina, Oklahoma, Texas, Virginia, New Mexico, Kansas, Missouri, and Wyoming. The facility aims to be the leader in urgent care medicine, vowing to treat its patients with sincerity, respect, and compassion while providing affordable and high-quality health care. NextCare Urgent Care ensures that each patient is cared for by following its values: caring, excellence, integrity and results. Received two Meritorious Service Medals while serving in the U.S. Navy as a hospital corpsman.